We all have those days when things never seem to go right. We experience delays in getting our work done due to circumstances that are out of our control, or we have to meet nearly impossible deadlines. As the day wears on, we begin to feel the pressure, making us irritable and ready to give up. Of course, we know that we will just push forward and hope for the best. By the end of the day, the stress has taken its toll. Feet dragging, we punch the clock to go home to try to relax. But there are things that you can do to prevent that level of stress at work. Simple techniques that will help you to relax and get your work done will prevent that foot-dragging feeling at the end of the day. Some are very obvious but still need to be mentioned as a reminder in order to keep them in the front of your mind. Get Started – Start your work as soon as possible, and work as fast and efficiently as possible. It is better to be ahead of a deadline than behind on one. As you work, take a moment now and then to take a couple of really deep breaths, and exhale slowly. Do some stretches, like reaching your arms as far as you can above your head, and then out to your sides. This gets your blood pumping and invigorates your body. Have a Back-Up Plan – There are some circumstances that arise that we cannot change. The key is to be able to work around them and move on. Be inventive in solving those issues in order to accomplish what you need to do. If you are prepared for the worst, you can aim for the best in outcomes. Delegate – If it is possible, enlist the help of someone else in the job duties that are bogging you down. 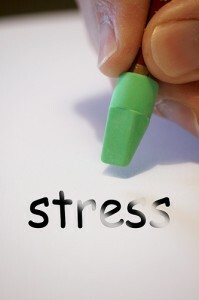 There are times that we tend to take on too much at one time, lending to the stress level during our work day. In using a bit of team work, the tasks get done faster, lifting some of the burden. Think Positive – At times it is your attitude toward your work day that causes stress. If you are continuously telling yourself that you cannot complete your work, you probably will not finish it. Instead, tell yourself you can do it, and go back to the first step. It is important to simply do the best you can, and end your work day knowing you gave it your all. Take another deep breath and move on.